Neurosurgery - forum with Physicians ! 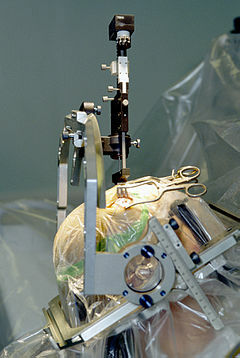 For the medical journal, see Neurosurgery (journal). Neurosurgery (or neurological surgery) is the medical specialty concerned with the prevention, diagnosis, treatment, and rehabilitation of disorders which affect any portion of the nervous system including thebrain, spinal cord, peripheral nerves, and extra-cranial cerebrovascular system. Zagazig University,Egypt &Ege University,Turkey& Bologna,Modena,L`Aquila,Roma La Sapienza Universities,Italy & Mainz university,Germany. Hôpital Neurologique et Neurochirurgical "P.Wertheimer"